I’m a huge fan of historic stories and archeology. This is why I enjoy places like Angkor or little Óbidos so much. I love watching documentaries about historic things (be it specific ages, kings and queens or one historic happening) on TV. 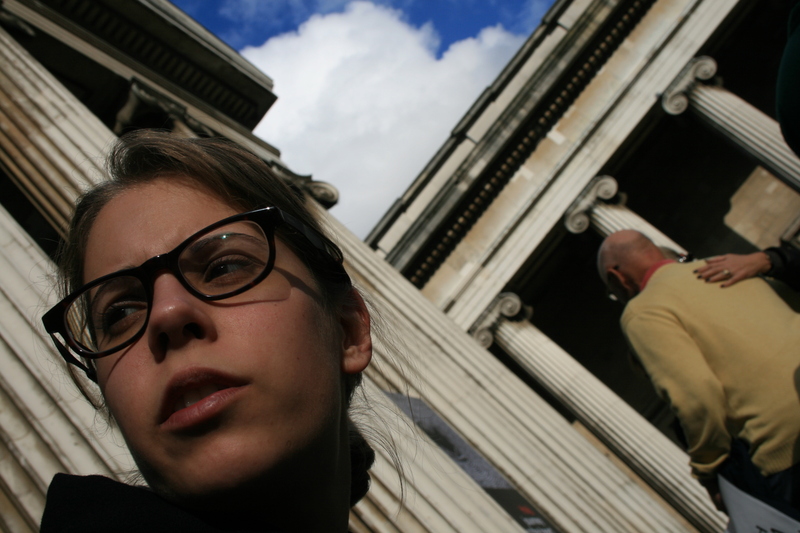 When I went to London last November I had never heard of the British Museum before. But when I discovered it in my travel guide it was clear I had to go there. And now as I write this article I just saw that it is second in rank in the world when it comes to visitors, topped only by the Louvre in Paris. Now the weather was, how should it have been differently being in London in November, not very good. But on the day that my boyfriend decide d to join me (we were actually in London to see his brother with his three daughters) for a visit to the British Museum it was actually quite nice so that we made a stop first sitting on the impressives staircase into the British Museum, enjoying the sun. Finally going inside I immediately thought: Wow. Norman Foster’s great court turned entrance hall covered by a glass roof with a big hall that turned out to be the original reading room of the national library, was just too impressiv: huge, massiv and yet light and sunny. Now we studied the map of the museum, picking a few things that sounded interesting, starting with the Egyptian section. The artifacts where impressive especially as they were so large and so many and well, they were the real ones. Even more impressive where the artifacts in the Assyrian section. To be honest, the name Assyrians rang a bell, but I hadn’t seen anything from them so far (or as far as I remember) and the long wall carvings with there details and liveliness were just so good. Funny that people were able to produce such fine things and later forgot about it again (just think of Art in the Middle Ages). Later we joined a free guided tour which was really cool as we just stumbled upon them during the tour and joined. 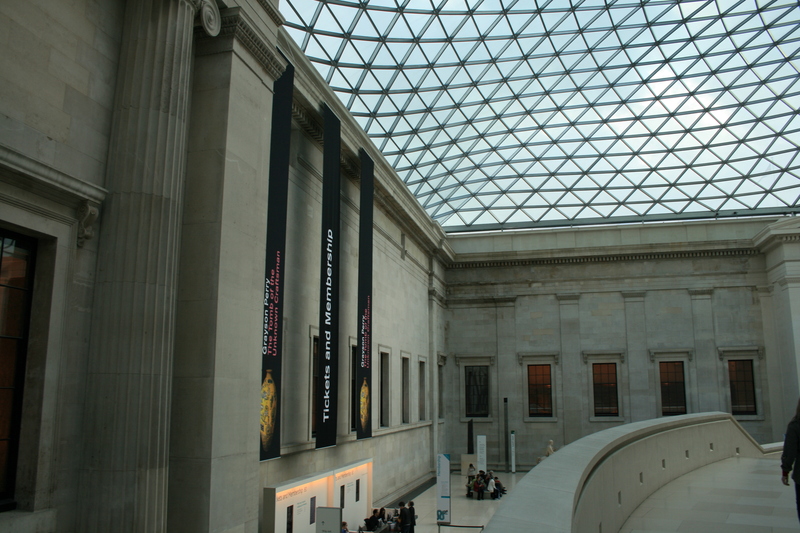 But all these artifacts also made me think: it is really great to have all this in one museum and it is definitively good that this museum is in a big city like London where lots of people can go. But the artifacts come from somewhere. Putting it boldly, the English just took what ever they saw and liked in other countries and brought it back home. This looks more like stealing because I doubt all these artifacts where gifts from the respective countries. I think it’s great when a museum is free of charge and offers such things. 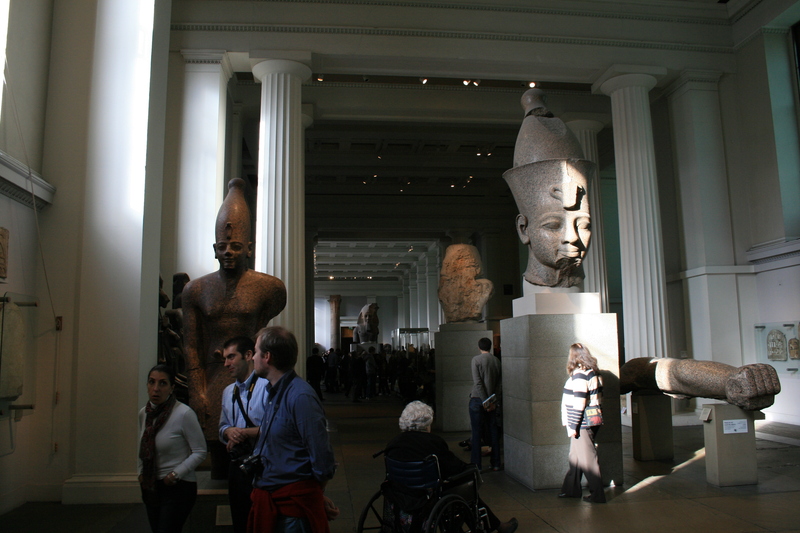 It makes sure that everybody can afford to go the museum and even learn some more when joining a guided tour, even though the “stolen artifacts” point still needs to be discussed. 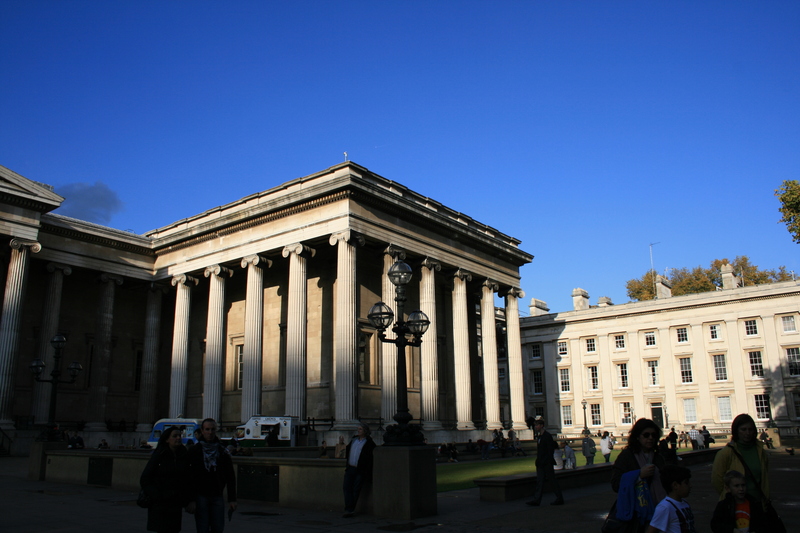 This entry was posted in Great Britain and tagged London, Museum, Short Trip by kathatravelling. Bookmark the permalink.